Spectacles, glass and gold, c 1840s-c 1850s. 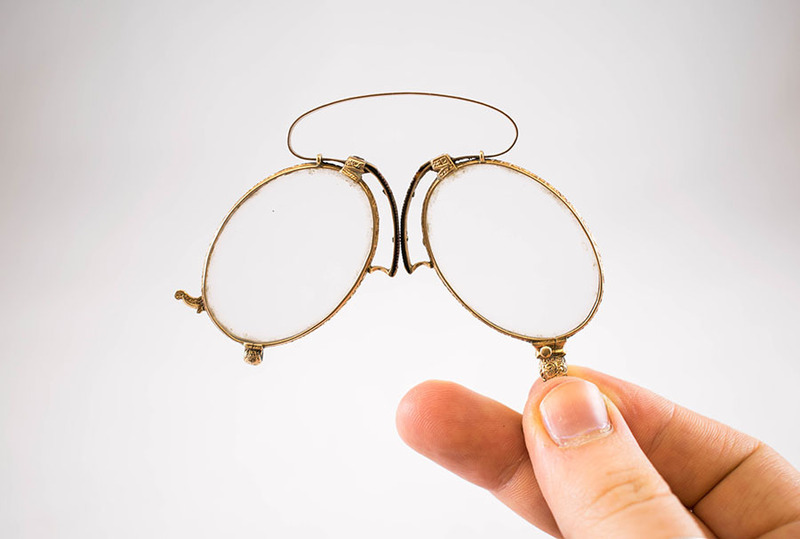 Pictured here is a pair of pince-nez spectacles with a folding mechanism for easy storage. Pince-nez literally translates to "to pinch the nose", which perfectly describes how they were worn. The glasses sat at the end of the nose and were often supported by ear chains. 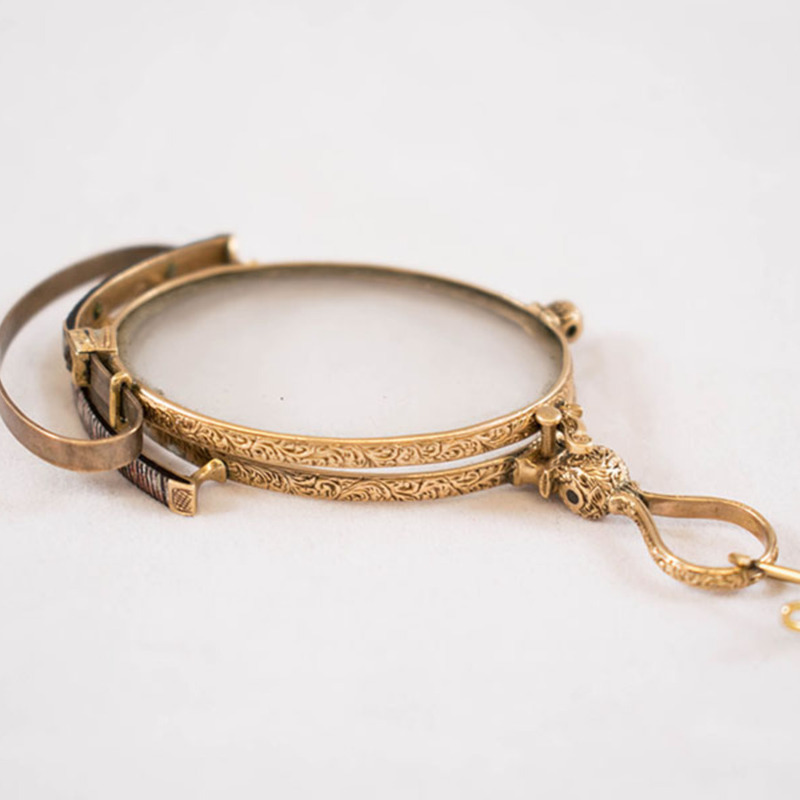 Unknown, “Folding Pince-nez Spectacles,” Heritage, accessed April 23, 2019, https://heritage.rcpsg.ac.uk/items/show/93. 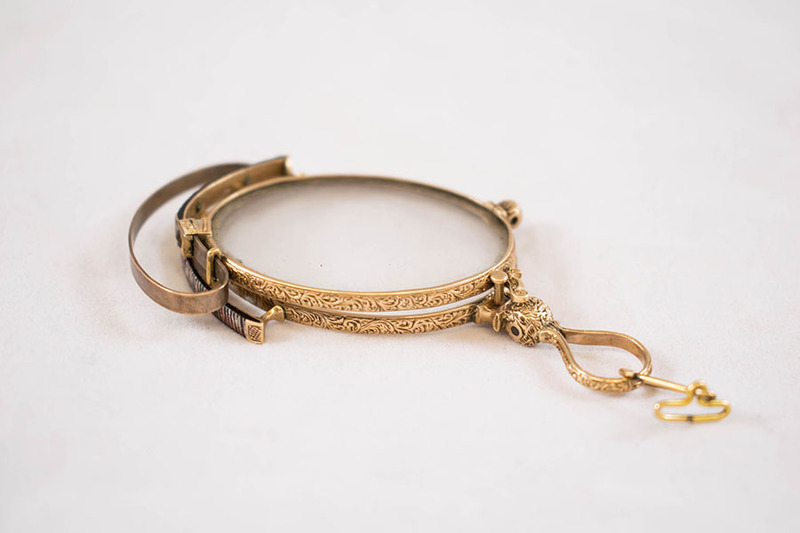 Description: Spectacles, glass and gold, c 1840s-c 1850s. 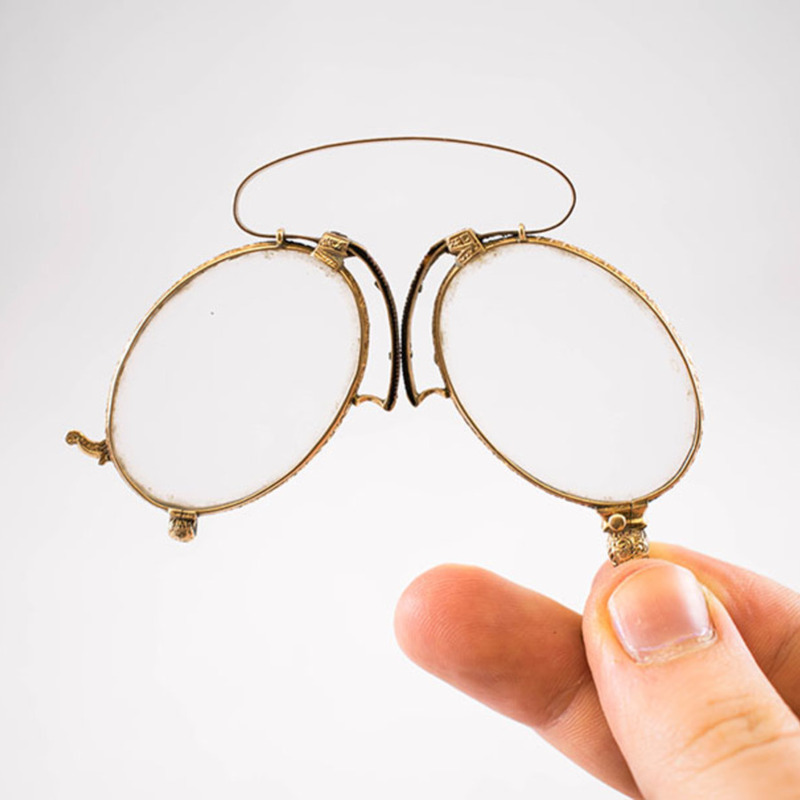 Pictured here is a pair of pince-nez spectacles with a folding mechanism for easy storage. Pince-nez literally translates to "to pinch the nose", which perfectly describes how they were worn. The glasses sat at the end of the nose and were often supported by ear chains.